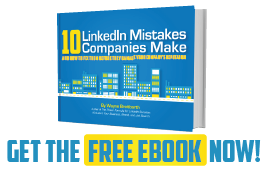 Why Is it Important to Know Who’s Viewing Your LinkedIn Profile? 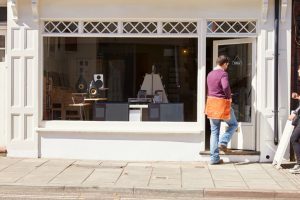 If you owned or managed a retail store and someone walked into the store, what would you do? Obviously, you'd say, How can I help you? and engage in a conversation because the person may be interested in what you have to sell. 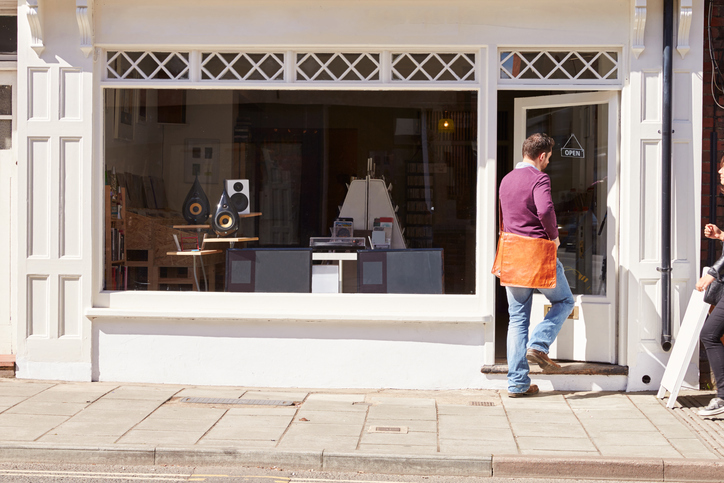 LinkedIn has something similar to your very own retail store—your profile. People are viewing your profile (stopping into your store) each and every day. So why not take these visits seriously and engage in a conversation with at least some of your visitors. LinkedIn's Who's Viewed Your Profile feature can help you with this. However, in spite of this feature's tremendous potential, it's a bit confusing to navigate, so most users fail to capitalize on it. To access this feature, click the words Who's viewed your profile on the left side of your home page. If you're on the free account (like 79% of the users I've surveyed), you'll see some of the details on the last five people ("stalkers") who looked at your profile. Premium members see the same amount of details but have access to a list of all their stalkers for the last 90 days. The details you see for each stalker are based on a setting chosen by the stalker and not by you. Thus, even with a paid account, you'll see no more than the person has chosen to reveal to you. Go to your Settings & Privacy page by clicking the down arrow under your photo on the top toolbar and selecting Privacy & Settings>Privacy>Profile viewing options from the drop-down menu. There are three options to choose from. Personally, I want my name and headline to show up in every possible place. Hey, it's free advertising. But you may have a different strategy. 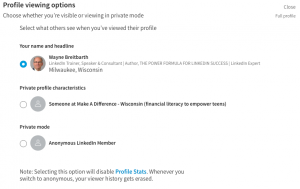 If you choose full disclosure but want to be anonymous for a short time while you stalk, say, a competitor, change your setting to Anonymous LinkedIn Member while you gather your competitive intelligence. But don't forget to change it back when you're done, because on the free account LinkedIn penalizes you for choosing anonymous. While in anonymous mode, you cannot see who looked at your profile. They also remove the five people who looked at your profile immediately prior to your choice to remain anonymous. So you'll want to check out the list before changing your setting. Why should you care who's looking at your profile? 1. Someone has referred you. 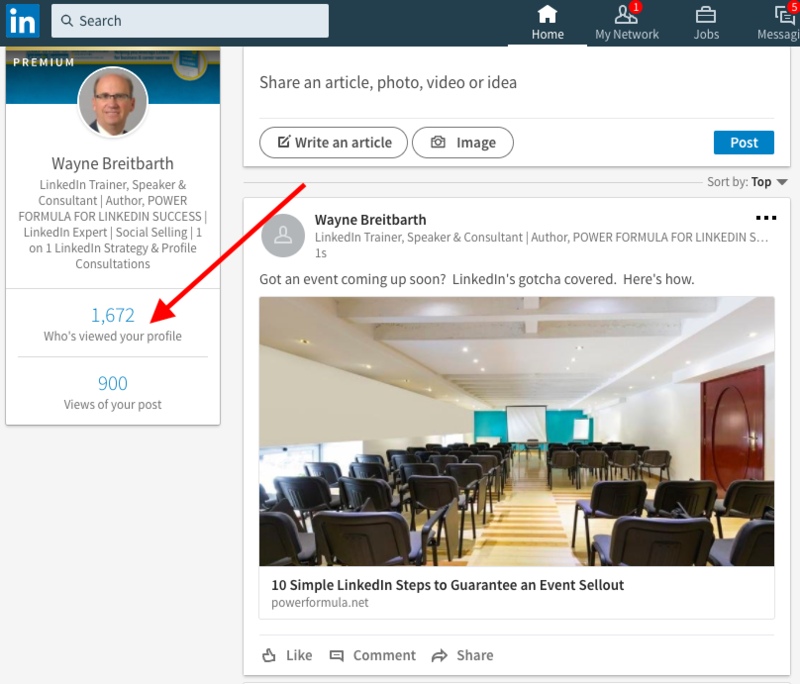 In other words, someone you know has passed along your name and maybe some information about you with a statement like, "Check out Wayne Breitbarth's profile; this guy really knows his LinkedIn stuff." 2. You stood out in a LinkedIn search, a discussion, a comment you posted, or LinkedIn selected you to be listed in one of these features—People Similar To, People Also Viewed or People You May Know—and the person was interested in seeing more, so (s)he clicked through to your profile. But no matter how the person found your profile, it's a good thing they're there! What should you do with this list of stalkers? There's nothing you can do if they've chosen to be totally anonymous or mostly anonymous. If any of the others look interesting to you, click through and review their profile to see if there's any reason to message them (if they're already a first-degree connection) or connect with them. They obviously have an interest in you, so you should probably contact them if they look interesting to you. Remember, with a free account, you only see the last five people who've viewed your profile. So check your list frequently. You wouldn't want to miss someone who's dying to be your next customer or future employer. 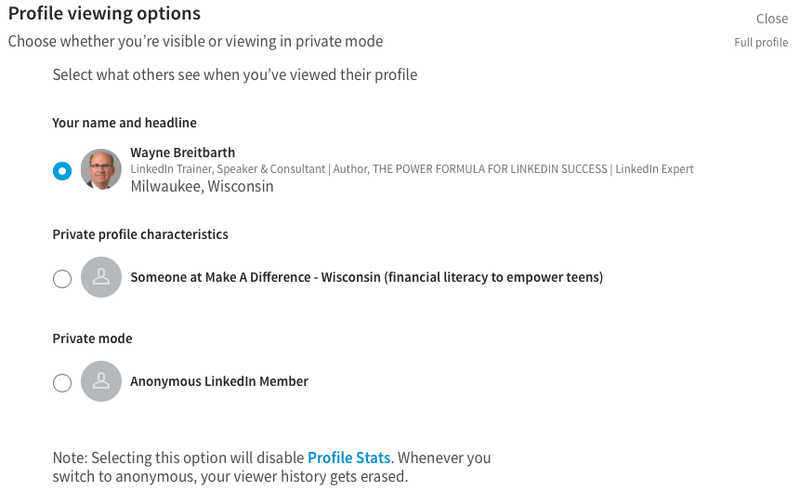 The more time I spend using this feature and discussing it with LinkedIn power users, the more I understand why Who's Viewed Your Profile is the top-ranked feature on LinkedIn. And the more popular this feature becomes, the more important it is that you have a great profile, don't you think? 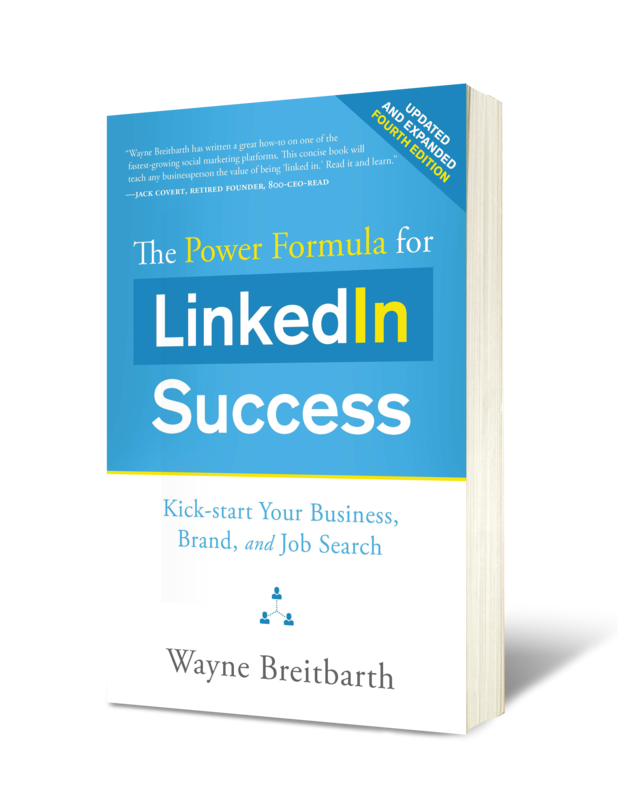 "Wayne provided excellent advice and recommendations during our recent LinkedIn consulting session. He is an expert in this area and was able to provide insights into my profile that will help me advance my brand and positioning. Wayne is an excellent listener and took a great deal of time during our session to understand my background, experience, and interests. I strongly recommend his services."